For many of us, Christmas is the time of year when we miss our lost loved ones the most. Finding ways to memorialize them during the holidays can help us remember that they’re still with us in spirit. 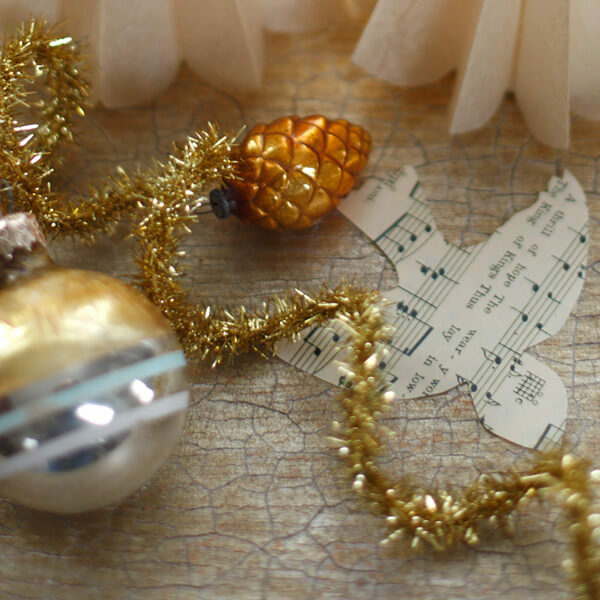 We asked readers to share how they weave memories of loved ones into their holiday traditions. Whether you start a new tradition or continue one started way back when, we hope that you find something here that helps your family pay tribute to those who remain close to your heart. My dad took up woodworking after he retired. Even after his health began to fail, he would go to his workshop every day to make gifts for Mom, my four sisters and me. Later he added sons-in-law and grandchildren to his gift list. When he passed away in 2007, we each had a wonderful collection of his work. Today, those gifts are treasures that keep his spirit alive in our homes every Christmas. From simple nativity sets and ornaments to intricate snowflakes and sleighs, we have reminders everywhere of his beautiful workmanship. I sometimes wonder if he knew how precious it would be for us to hold these gifts in our hands that were so carefully crafted by his. I always come to the same conclusion: Of course he knew. He was my dad. He knew everything. Seven years ago, when I was 8 months pregnant with my firstborn, my brother, Roger, unexpectedly passed away. Shortly after his death, my aunt gave my family an in-remembrance ornament to honor his memory. It was such a touching gesture and something I wouldn’t have thought to include in our holiday traditions at the time because the loss was so fresh and I was simultaneously distracted and preoccupied by new motherhood. But ever since that Christmas, and every year after that, I hang “Roger’s ornament” in the center of our tree. Of course, I have to position it high enough where our three kids can’t reach it. And while I do this, I tell funny stories about the Uncle Roger they never got to actually meet, but whose memory is still very much alive. My grandmother was a devout Catholic. One of her most prized possessions was a rosary that my uncle (her son) had given her as a gift. He was lucky enough to spend some time in Europe and knew she would love them. This wasn’t just any rosary. This one was created at the Vatican and blessed by the Pope, making it extremely special to her. I was very close to my grandma, so I received the beads after she passed. Every holiday, my mom’s side gathers and we pray the Rosary with these special beads as a way to honor her and carry on her strong faith in our family. Pretty sure my grandma would love that! My dad loved to watch for redbirds out of the window when it snowed at the farm. The redbirds would flock (up to 50 at a time!) under the big oak tree in our front yard, lured there with grain my dad “borrowed” from feeding the cattle. Since he passed away in 2002, I’ve added at least one new redbird ornament to my Christmas tree every year in memory of him. My son was born in 2004 and never had a chance to meet my dad; so placing “Grandpa Vern’s redbirds” on the tree has become a special tradition for us. I’ve collected more than a dozen ornaments so far, and this year I found an antique wire tree to display them all on—so now we can enjoy a flock of redbirds around the tree just like he used to do. I was very close to my Grandma Howell—she taught me to quilt. So I like to use one of the quilts I inherited from her as the tree skirt under my Christmas tree. And I have the Bible that belonged to my grandpa on my mantel. I remember my dad’s parents with a pipe I hang on the Christmas tree for Grandpa (it still smells like his tobacco) and a Norman Rockwell ornament for Grandma (she loved Norman Rockwell). And we never end a year without Mom making my grandma’s famous sour cream pound cake. My husband’s family has a wonderful tradition of honoring/remembering his maternal grandmother every year at Christmas. Each year, his mother will pick up his grandmother’s favorite box of chocolate-covered cherries at the store and present them among the assortment of Christmas goodies. They are a yearly staple in the house whether the gathering includes the extended family or a smaller group. Many enjoy the chocolate-covered cherries, but one is always left for Grandma. When my grandparents decided to retire and move to Florida, they rallied the family together and told us to take what we wanted. Among the few things my mom selected, the most important was a box of Christmas ornaments. When I moved to Philadelphia in the mid-90s, my mom let me select from these ornaments to take a bit of home with me for the holidays. Six Shiny-Brite ornaments from my grandmother’s tree made the big move with me. My grandmother loved the holidays—the decorating, the baking, the wrapping of gifts. But most of all, she loved being with family. My grandmother passed away in 1997, and every year since then, I’ve added one vintage Shiny-Brite ornament to my tree each year in her honor. As the collection has grown over the years, I added red ribbons to the original six from my grandparents’ tree so they don’t get lost in the mix. When my grandma passed away, it was very difficult on me—especially the first holiday without her. For the first time in my life, she wasn’t there with me at Christmas, and there was no new ornament on my tree. Soon, though, I started to look at all the ornaments she had given me, and I started to realize how many memories of her they contained. When I moved into my first home, my mother gave me all of my Keepsake Ornaments—and then surprised me by giving me all of my grandma’s ornaments, too. I decided that it was time for these ornaments to grace a tree and finally unpacked them from their packaging. As I hung each ornament, I thought of my grandma and the memories we made while picking them out together. While she’s not physically with me at the holidays, I can feel her spiritual presence every time I look at my beautiful tree.